LEHIGH ACRES, Fla. — Pieces of ash and smoke filled the sky after a brush fire this afternoon in Lehigh Acres. 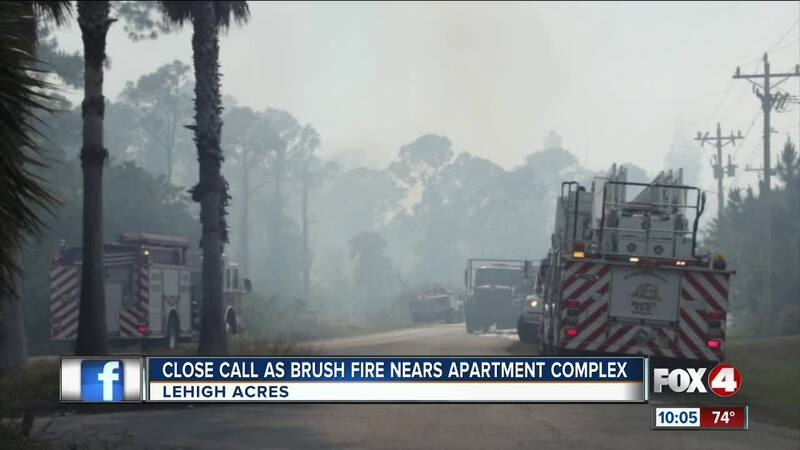 Lehigh Fire Control & Rescue District responded to a five-acre brush fire near the Heron Pond apartment complex off Village Lakes Blvd. Kimberly Murray, who lives at the apartment complex, says this isn’t the first brush fire there, but one of the largest. “We’ve never seen one this bad,” said Murray. She says neighbors were covering their faces to block the smoke. Kelly Russell works as the district manager for Storage Rentals of America, saying the proximity of the business and the fire made her feel uneasy. Lehigh Fire Control & Rescue District says the fire is contained and is still investigating the cause.